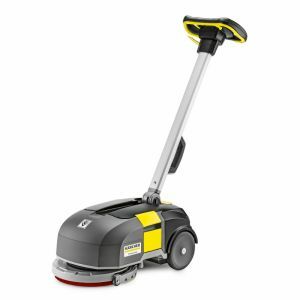 You will not find more power in the Super class of hot water high-pressure cleaners from Kärcher: the HDS 13/20-4 S is the most powerful machine that we offer. The high water flow rate allows two-spray lance operation, making time-consuming tasks easier and quicker. 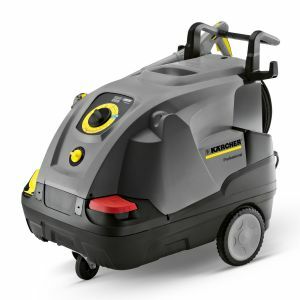 With a range of innovative equipment features, like the eco!efficiency mode, service switch for water hardness regulation, turbo blower, precise cleaning agent dosing unit, optimised burner engineering, high pump efficiency and patented nozzle technology, not only is the machine highly efficient, but it also delivers outstanding cleaning results. Another highlight is the large LED display on which the filling levels of fuel and cleaning agent, as well as information on system care, can be checked easily at any time. The ease of use of the machine, sophisticated mobility concept and easy access to all of the relevant components also make handling, transport and servicing much easier for the operator. • Service switch: Four water hardness settings. Machine operational data (duration of use and required service intervals) can be retrieved. Exact dosing reduces water softener consumption. • LED display: Clearly arranged centrally at the control panel (HDS 13/20). Filling level indicators for fuel, cleaning agent and system care. Integrated elapsed time counter. • Cleaning agent dosing unit: Precise dosing valve ensures low consumption. Easy changeover between detergent tanks 1 and 2. Rinsing takes place automatically in the 0 position. • Accessory storage: Integrated hose reel and spray lance intake on each side for safe transport. Within easy reach for left-handed/right-handed operators and ideal for two-spray lance operation. Integrated storage compartment with lid for storing tools, nozzles, dirt blaster, etc.